Be it modern or traditional, the funky Empress Screen will work its magic in any home’s décor. 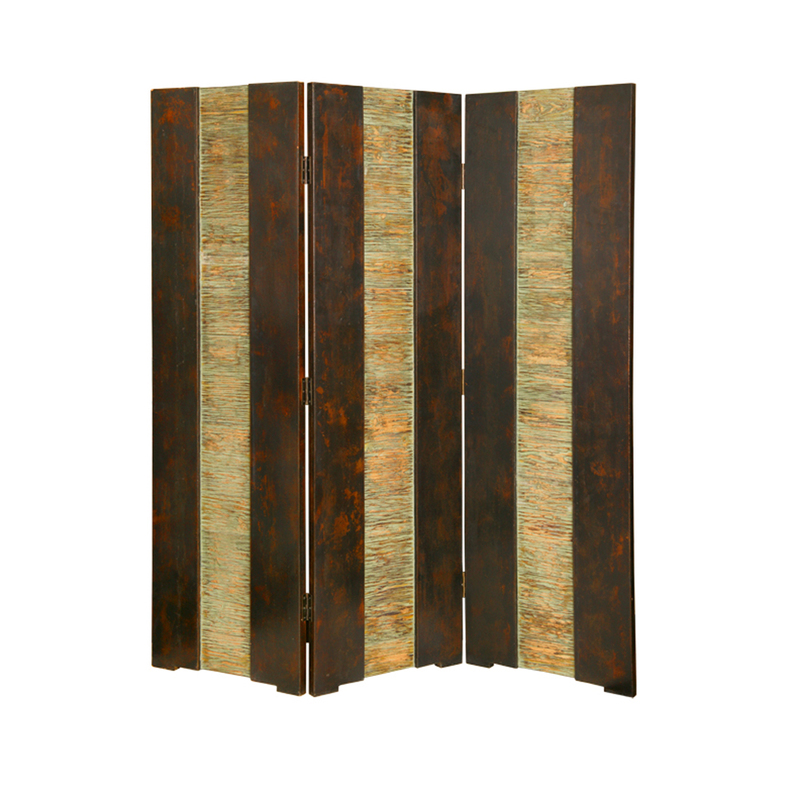 The contemporary design gives it that fresh, modern look while the solid wood panels give it the traditional, classy look of a traditional screen. This room divider is finished with accents of espresso, gold, and shimmer hues on the front with a solid wood panel back for stability. This design makes it a pleasure to any eyes in any room!